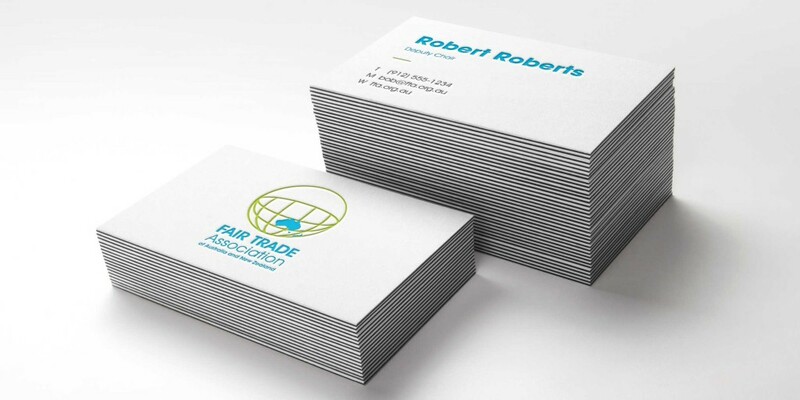 Brand revamp to increase membership by 30% for Bob Roberts, Fair Trade Assc. 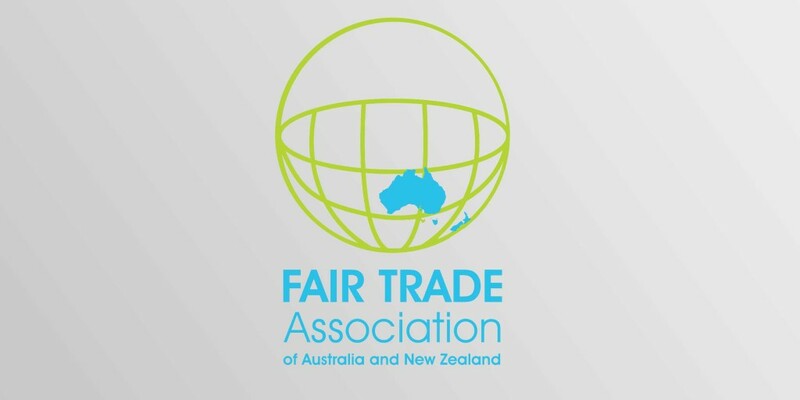 What we did: The Fair Trade Association of Australia and New Zealand were well established and so I felt it would be wrong to start reinventing the wheel with their logo design as it could potentially confuse their current audience. 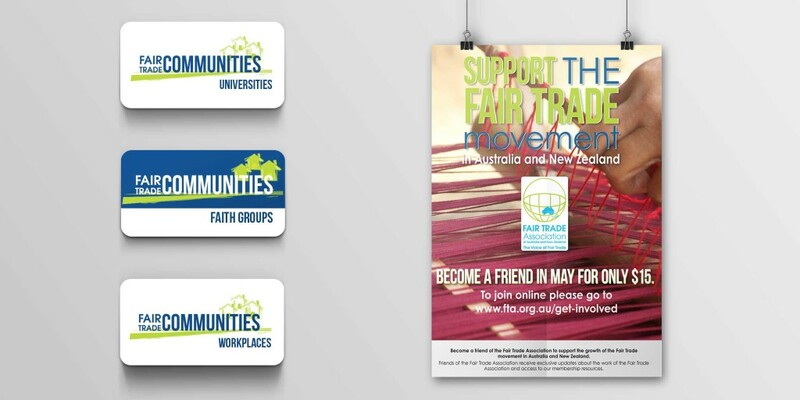 So I tidied it up and used stronger colour and typography to refine the design. 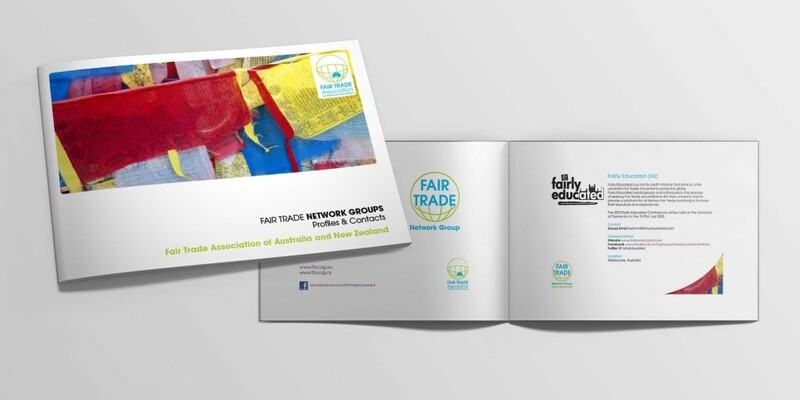 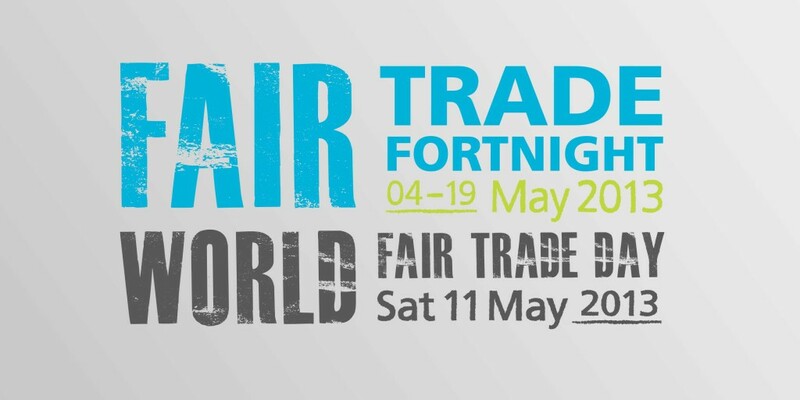 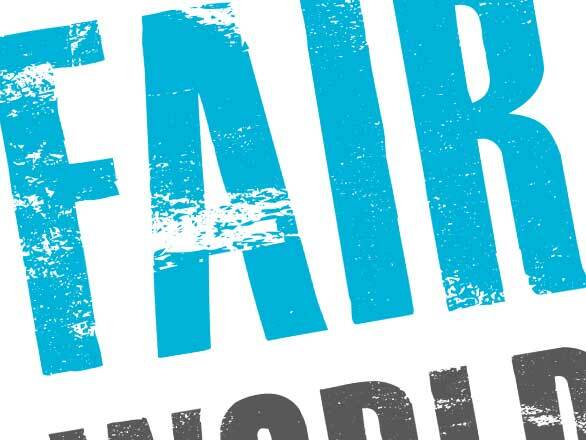 Pleased with the job Bob then asked One Line to create all the campaign graphics for the fair trade networks and for the first ever Fair Trade Futures campaign which led to an increased membership base of over 30%. Pretty chuffed with that! 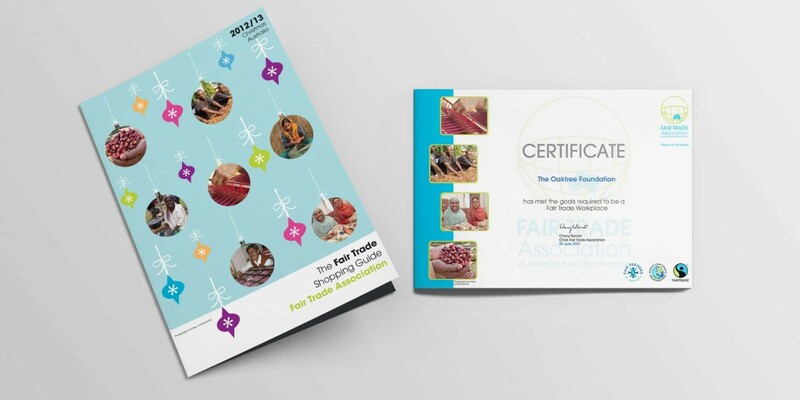 Key services: typography, logo design, brochure design, poster graphics, campaign project management and marketing. 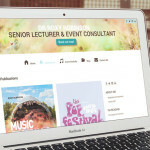 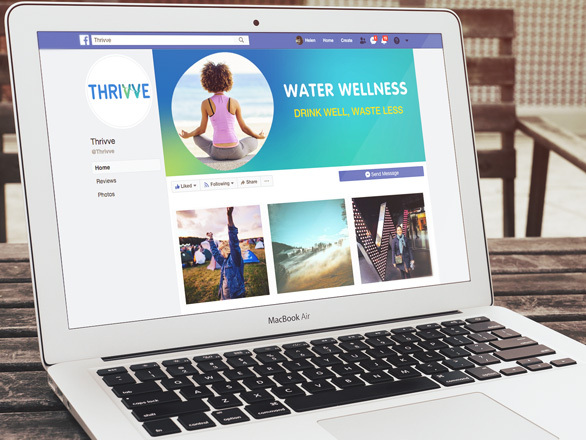 Do you need to promote a campaign or event? 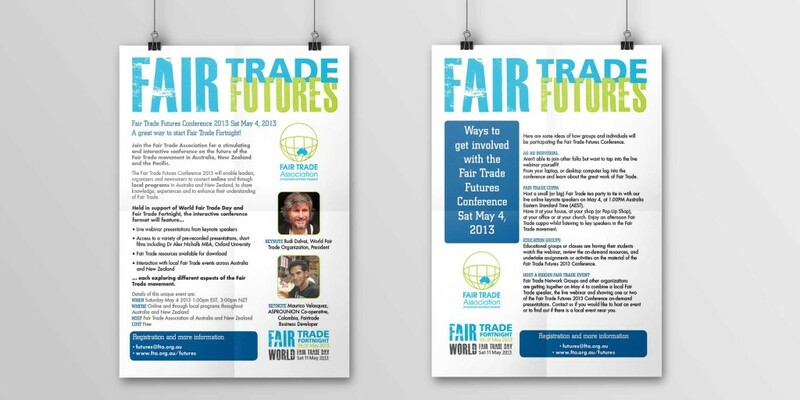 Even better: bringing together fair traders. 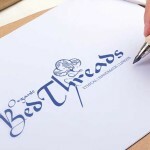 A modern re-vamp of the old logo. 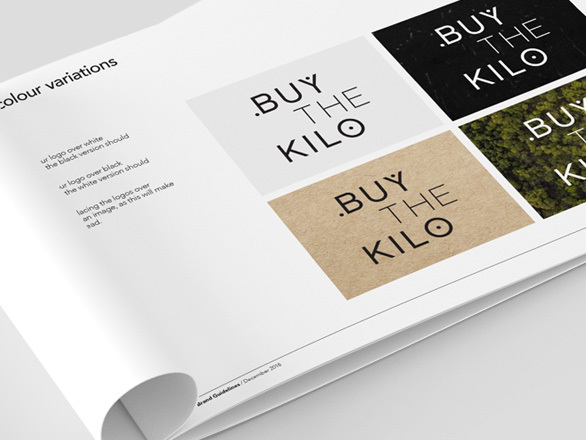 See the before and after in the sketchbook. 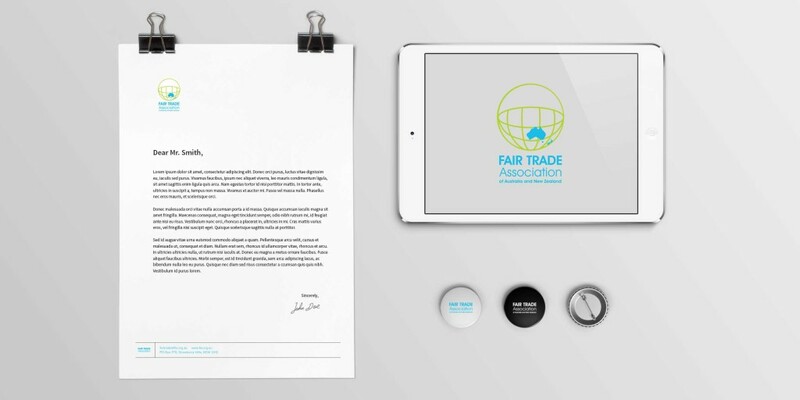 Branded and promotional tools to make the design work hard for the campaign. 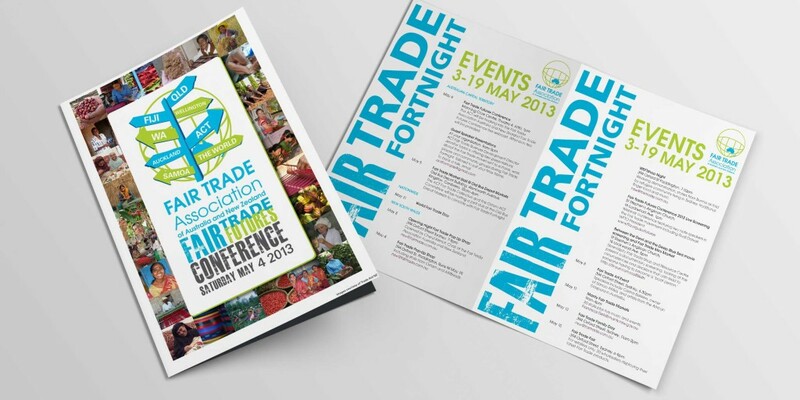 Looking for typography and graphics for your events and promotions?